Boston has identified dozens of potential microgrid sites that together with other community energy projects could save as much as $1.7 billion, according to a new report issued by the city. The Boston Community Energy Study maps specific locations for three kinds of microgrids: multipurpose microgrids, energy justice microgrids and emergency microgrids. Like many cities in the Northeast, Boston is focusing heavily on improving grid resiliency, energy efficiency and greenhouse gas reduction with microgrids. The report is part of an emerging campaign in Massachusetts toward creating community microgrids. Separately, the Massachusetts Clean Energy Center this month issued a request for information seeking microgrid developers, a precursor to a $650,000 microgrid grant offer it intends to release February 29. The map emerged from a simulation of hourly energy consumption for every city building done by the MIT School of Architecture and Planning’s Sustainable Design Lab. The city then overlaid the energy map with other data, such as infrastructure information from Homeland Security, locations of emergency shelters, critical facilities, affordable housing, natural gas lines, flood zones, building heating demand, and other inputs from city engineers and urban planners. As a result, Boston identified 42 “hot spots” for microgrids, energy storage, combined heat and power, district energy and community solar. The city used simulated building data because by law it cannot publicly release the actual energy use. The simulation included hourly demand data for lighting, plug load, heating, cooling and hot water. It achieves a 94 percent accuracy level for electricity use and 83 percent for natural gas, according to the report. As more information is collected, the city will refine the interactive map. Boston hopes to not only encourage community energy projects, but also building-level energy efficiency. Under some scenarios, the city may be able to cut energy costs and greenhouse gases by 30 percent, according to the report. Energy justice microgrids are characterized by dense affordable housing, where energy costs are a significant portion of income. They include places or refuge during an outage. Like multi-user microgrids, they aim for balanced energy demand throughout the year. Emergency microgrids have concentrated areas of critical facilities, including hospitals, shelters, grocery stores and food warehouses. 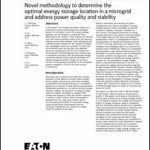 In its base case, the study identified 88 particular parcels for multi-purpose microgrids, carrying a cost of about $18 million. The microgrids would encompass 598,446 square feet with annual total energy demand of about 209 million kWh. 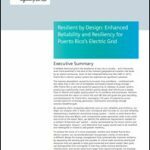 For emergency microgrids, the study identified 105 parcels with 324,568 square feet of space and 61 million kWh of total energy consumption. The cost estimate is $4.4 million. The study models both costs and carbon reductions in calculating overall benefits from the community energy projects. Each scneario included upfront capital and long-term maintenance costs, which were compared to the reduced energy costs and emissions benefits for residential, commercial and municipal consumers. The report found total benefits from the two scenarios ranged from $600 million to $1.7 billion over the 25-year analysis period. While more complete analysis is needed and much remains to be learned, the initial indicators are very positive, the city said. In modeling costs and savings, the report assumed microgrids would begin construction in 2018 and go into operation in 2021, operating at 80 percent of capacity in 2021 and 100 percent by 2022. The microgrids would operate for 25 years before requiring any major capital investment. An engineering analysis found that multiuser microgrids could reduce greenhouse gases in their districts by 15 percent, earth justice microgrids by 21 percent and emergency by microgrids by 18 percent. For communities that want to develop microgrids, Boston plans to offer technical assistance through a partnership with the US Department of Energy called the Climate Action Champions program. The program connects property owners with experts that perform no-cost CHP feasibility studies for district energy loops and microgrids. Those who assisted the city with the study, or provided funding, include: MIT School of Architecture and Planning’s Sustainable Design Lab, MIT Lincoln Laboratory, Google’s Project Sunroof, local utility Eversource, the Massachusetts Clean Energy Center, the Barr Foundation, the US Department of Energy and the US Department Homeland Security. The report and interactive map are available through the Boston Redevelopment Authority. Is the Future No-Money Down Microgrids? We have a new renewable energy hybrid Generating system the is (fossil fuel free), (zero emissions). This can used on grid or off depending on the conditions. Would be very interested in that system. Where can I find more information?